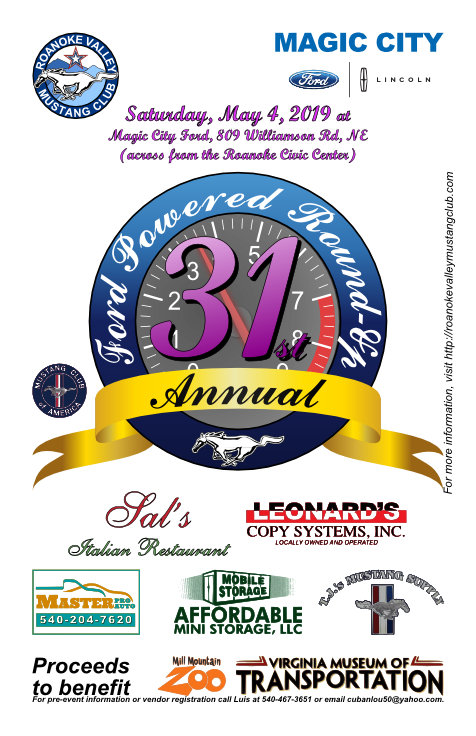 The Roanoke Valley Mustang Club meets the third Monday of each month at Famous Anthony's restaurant at 323 East Virginia Avenue in Vinton. Dinner begins at 6:30pm and the meeting begins at 7:00pm. Membership in the Mustang Club of America is suggested for all RVMC members.